$38.00 Click for price What's this? 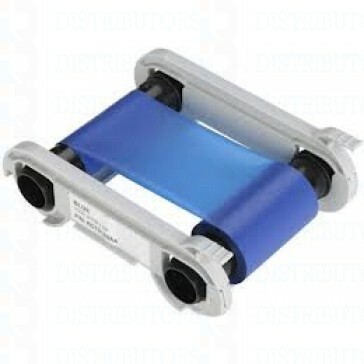 Blue Monochrome Ribbon - 1,000 Prints/Roll The Evolis High Trust® monochrome ribbons are available in KO, Black, Blue, Red, Green, White, Metallic Gold and Metallic Silver. They are used to print a single color on cards. These ribbons are used for thermal transfer technology. They are polyethylene terephthalate (PET) with thin layers of specialised coatings. The Evolis monochrome ribbons are continuous, (except the KO ribbon which alternate a black and an overlay panel). For the Evolis Pebble 4, Dualys 3, Quantium 2, Tattoo 2 and Securion Printers. Also the new Primacy and Zenius.